In an Op-Ed article, “The Question of Corruption in Academe”, Philip Altbach (2004) explores the countless example of misconduct in higher education. He challenges his colleagues by saying “the academic community itself must understand that without integrity and meritocracy there can be no true university.” In essence he says that as a discipline we can only blame ourselves for allowing this issue to become “widespread and tacitly accepted”, with few questions being asked and sporadic penalties for detection. Altbach points out the increase public awareness of these issues, will eventually damage the credibility of all higher education systems. In an era with profuse usage of national and international rankings, all colleges and universities must be vigilance in protecting their institution’s reputation and brand in the community. Issues like academic integrity or any suggestion of academic misconduct, brings unwanted and unnecessary scrutiny to the institution, thus provoking stakeholders, governing bodies and the public to ask questions about the institution’s values and the credibility of the people we entrust (administration/faculty) to promote the mission and vision of the institution. Institutions are under increasingly pressure to place more emphasis and resources on professional development of its faculty, with academic integrity, promotion and tenure and effective teaching as common areas of focus. For many people, Academic Integrity is based on honesty, trust, fairness, respect, and responsibility and is considered by those in academia as the backbone of academic freedom (UTC Walker Teaching Resource Center, 2006). As a practitioner I often wonder if this issue is more of a pervasive problem in Higher Education vs other disciplines? Is the use of detection devices a good way to prevent academic misconduct? and do faculty and students perceive academic dishonesty differently and is it a major issue on college campuses. Finally, does academic misconduct increase when using the internet? The data would offer us mix results and can be attributed to the various interpretations of what is considered as misconduct and how violations are tackled. We know from the literature that Academic Integrity in higher education has different interpretations depending on the context the phrase is used in. Macfarlane, Zhang and Pun (2012), defines academic integrity as “values, behavior and conduct of academics in all aspect of their practice.” In their analysis Academic Integrity, is not only misconduct between students, faculty but include institutions. It goes beyond student conduct; honor codes, but examines professional ethics. In the literature, we see the words framed in terms of “misconduct or academic corruption with research ethics as one of the primary areas of concern. They conclude that academicians should develop their our own personal understanding of what is ethical vs. unethical behavior in our profession. As a university administrator who serves on our university appeals committee, I see first-hand the frequency, blatant and deliberate impact of academic misconduct has on the overall impact on the students and institution. As a faculty member I see the need for more direct and deliberate training on the meaning and the negative impact academic misconduct. For my final project, I wanted to investigate the academic integrity issues in the US and China, with special emphasis on looking at student and faculty perceptions, the institutions responsibility to promote academic honesty and make some recommendations on ways the academic community can promote best practices to prevent misconduct in the profession. Academic integrity and academic misconduct are often interchangeably used to describe expected behaviors in one’s professional work. It is one of the essential values of higher education. In the U.S., academic misconduct continues to be a prevalent issue in our secondary and higher education systems. The Center for Academic Integrity estimates that nearly 70 percent of undergraduate students commit acts of academic dishonesty during the course of their collegiate years. In the research literature there still remains inconsistencies in the perception and meaning of academic misconduct. Like our international colleagues in higher education, the U.S. educational and scientific communities haven’t been immune to newspaper accounts of students, faculty, and institutions misconduct. The ambiguity of how academic integrity is defined on college campus and in the field of higher education overall impacts individual perceptions. Do our faculty perceive academic misconduct differently from our Chinese colleagues? We see noted in the literature that academic integrity is impacted by individual, situational and environmental factors. The short is yes. In the U.S. most institutions of higher learning have developed policies and procedures that address academic misconduct. However, many of them are framed around traditional (behavioral) forms of misconduct, like plagiarism. In the U.S, there are significant differences in how students versus faculty perceive academic misconduct. Some researchers argue that more studies that examine the difference in perception between the two groups will ultimately results in a concordance in the definition. According to USA Today November 12, 2012 article, China sends the largest number of students to study in the U.S, followed by Saudi Arabia. The report stated that the number of international students enrolled in U.S. colleges climbed 6% to a record 764,495 last year. While the number of U.S. students earning academic credit abroad showed a modest 1.3% increase from previous year, which represented 273,996 students. The report also examines the economic impact, which suggests that International students and their dependents contributed $22.7 billion to the U.S. economy last year in tuition, fees and living expenses. From my discussion with students in China, I was made aware of the limited opportunities for students to study internationally for their graduate/doctoral work. U.S. colleges and universities are just as ambitious to establish collaborative relationships with foreign institutions. To the international community, the U.S. is viewed as having the best academic system. From my interactions with students in China, this perception is true. They view obtaining a degree from a foreign university, would set them apart from their classmate, and provide them with better job opportunities. All of the institutions we visited while in China, all have numerous affiliation agreements with foreign institutions. Institutions like Shaanxi Normal University are requiring all new faculty with less than five years of teaching experience to have international teaching or research experience for at least one year in order to join the faculty. Global education, and developing collaborative partnership was a consistent area of focus in the three schools we visited. The video below was developed by faculty and staff at Concordia University. Concordia University is a Canadian public research university in Montreal, Quebec, Canada (http://www.concordia.ca/). The theme of the video is Academic Integrity Means and what it means for your future. What I like most about this video is its clear and concise definition of Academic Integrity. In the video Dr. Skinner- Associate Dean for School of Graduate Studies, provides the viewer a personal reflection of academic integrity means to him as an administrator and faculty member. Dr. Skinner developed this video to aid graduate students, many of them international students to gain a better understanding of academic misconduct. In the video he outlines the importance of referencing, how to avoid plagiarism and the importance time management. He talks about the importance of communicating with faculty to seek clarification on assignments and benefits of student working in groups. He concludes with a message on the impact of academic misconduct can have on your career and professional aspirations. “Rampant academic misconduct hampers China’s efforts to lead global research” was the lead article in the Star Tribune April 10, 2010 edition. Editorials like this and others would have you to believe that academic misconduct is an issue only in the hallways of higher education institutions in China, in fact this an ischemic global concern that requires an international solution to fix it. Integrity in the Chinese language has historical meaning and can be traced back to the work of Confucius. Wu (2010) states that the Chinese word for “Integrity” consists of two charterers: “cheng” and “xin”. According to Wu, the word “chengxin” is often used in traditional Chinese as “xin” meaning honesty in the Analects of Confucius. With such a rich history, why is academic misconduct perceived to be more prevalent in China then U.S.? With advances in communications, social media and a 24 hour news cycle, would suggest that the entire infrastructure is corrupt and ingenious. China’s academic misconduct issues, although numerous are no greater than most developed countries. In the literature China’s academic corruption is widely documented. Academic integrity, is framed negatively, often linked with words like corrupt and tainted. Since the 1990’s the majority of the documented reports looks at corruptions in three areas: (1) research administration; (2) academic promotion; and (3) doctoral student training (Yang, 2005). Routinely, we see reports that talks about conflict of interest in research and the fabrication and falsification of research results. Plagiarism and covert and intentional cover ups of academic misconduct continues to be an issue. One plausible explanation of this perceived influx of corruption in China can be traced back to cultural, institutional and political differences. There is continued evidence in the literature that examines the impact of these factors on academic misconduct. Most of the data show that misconduct is prevalent and pervasive. Liebler (2009) talks about the impact of incentives on scholarly work and the influence and role of those in power have on attitudes and perception of academic misconduct. In his report, he concludes that if an institution adopts policies that never use scholarly competence as a criterion for evaluating faculty, are ultimately creating an environment where corruption is rewarded, honesty, trust and integrity is penalized, and the practice of misconduct becomes an acceptable practice. In examining academic misconduct of Chinese students, the literature often focuses on students who translate Chinese articles into English and then submit these documents as their own original work. But we also see research that examines student’s ability to distinguish between collaboration and collusion. Yang (2005) examines in her study, the impact of collusion and social connections play in the professional life in the Chinese way of life. The Chinese people describe these social connections as “guanxi”. Guanxi talks about the impact of these social connections (relationships), but it is the implications of providing favors that leads to perceptions of cronyism and ultimately leading to misleading and fraudulent ethical behaviors. Academic Integrity in China’s educational policies wasn’t a priority until as series of well publicized research fraud in the 1990’s forced the country to examine its policies and infrastructure. In the last decade , (Sun, 2010) talks about the work that the Ministry of Science and Technology (MOST) and the Ministry of Education (MOE) have initiated to enhance efforts in building academic norms and research integrity, through developing standards and regulations, setting up special agencies, issuing policy papers, organizing national forums, and promoting international cooperation. According to China National Knowledge Infrastructure (CNKI), this renewed emphasis on academic integrity resulted in a significantly increase in research that examined academic integrity in China (figure 1). In order to address the academic integrity perceptions and the unethical behavior in its research community, the country developed a Chinese academic ad research and development system to address with academic misconduct and corruption. Since that time we see that many prominent universities in China have developed their own Academic Ethics committees, whose primary purpose is to interpret, evaluate ethic policies and to work collaboratively with national and the academic community to develop more rigorous academic standards. In the first video ” What does Academic Integrity mans to me? 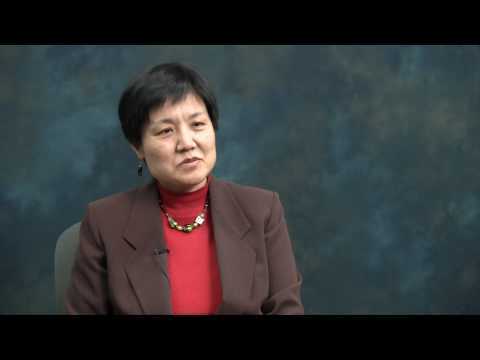 Dr. Zang reflects on three personal characteristics she feels that are important. First she talks about the importance of being truthful ad honest in your professional work. Secondly she explores the cultural aspects of integrity, by framing her remarks around being responsible and the impact of misconduct has on a community. She reflects on the importance of surrounding yourself with people who do not cheat and to always focus on ways to prevent others from doing it. The second video talks about academic integrity from a student perspective. In the video two students are discussing the the impact and ramifications of cheating. The entire video is spoken in Chinese and was developed by an international student recruitment group who have developed a series of videos which focuses on safety and living conditions and classroom behaviors in US classrooms. Unless you are fluent in Mandarin, the video will be hard to understand, but my intent was to show you the many ways the Chinese academic and student communities are committed to eliminate academic misconduct. From my perspective students in China have great respect for learning. Their admiration and respect for their instructors is based on mutual respect and reverence. However, in all of my discussions, here was several underlying themes that infiltrated my conversations (1) fear of failure; (2) the high expectations of their parents and; (3) fear of not being able to find a job after graduation. These issues are not unique to students in China, but they do come with added pressure when they decide to attend college abroad and face with challenges, of people not fully aware of their values, religious beliefs, customs, and assumptions and the furthest thing from their minds is Academic Integrity. We know from the vast amount of literature that cultural assumptions, plays a major role in academic misconduct. We know Confucian-heritage countries, such as China, Japan, Korea, and Vietnam, value their source with the greatest authority, and yet do not believe in citing their sources as expected in Western society. Confucian culture, using an author’s own words is a form of respect, making it difficult for students to understand Western standards and change their perspectives on this matter (Hayes & Introna, 2005). In the literature, most of the research that focuses on academic dishonesty and integrity tends to examine faculty attitudes about student misconduct versus their perception of why student cheat and the situations that influence these behaviors (McCabe, 2003). Recent studies also have examines perceptions of academic dishonesty between faculty and administrators, which shows faculty were likely to perceive that academic dishonesty was a pervasive problem versus their administrator colleagues. Various reasons for student plagiarism are offered in the literature, among them lack of time to complete the task or poor time management skills; insufficient rewards for (perceived) effort or desire for efficiency; over-full curricula; fear of a poor mark or of disappointing others; the perception that they can “get away with it”; or the desire to defy authority. The professors never teach us the correct ways of maintaining academic integrity, they only tell us the requirements when we submit our final year projects . . . I am wondering why didn’t they tell us all the requirements…? We never notice that we are committing academic misconducts. Academic Integrity should be discussed during every facet of the college admission process. Breakout session during orientation should be developed and institutions should require academic integrity training for all faculty and staff. The video below was complied during the 2008 International Conference in Myrtle Beach. Participants were asked to discuss the importance of academic integrity. In the video, faculty at various institutions across the world are asked to give their honest opinion on the importance of academic integrity. From the video you can hear some common themes and you get a sense that regardless of where they worked they each valued professional integrity. Most colleges and universities are aware of the pervasiveness of cheating on college campus. Many of these institutions have invested substantial resources to detect academic dishonesty and to inform students of the importance of academic integrity, but can they do more? Academic Integrity not only effects individuals professional growth opportunities , but could potential damages the the image and reputations of the institutions that employees them. Institutions have various governance structures. These stakeholders want assurances that the faculty and staff have high moral and ethical standards (behaviors). Institutions must develop an environment where Academic Integrity, is a part of the culture of the institutions. Universities that are committed in preventing academic misconduct have developed standing committees that are empowered to draft policies, recommend sanctions and have consistent policies for appeals. Institutions, must also have solid policies relating to student-faulty interactions. For students Academic Integrity should be highlighted in the student handbook (Code of Conduct). Student must be informed of procedures for adjudication and grievances. Even in China , the perception of corruption has dramatically tarnished the reputations of several of its premier universities , with allegation of corruption and academic misconduct. In the past Academic Freedom was a concept not easily obtainable in China. Today, we see China’s Ministry of Education has developed a series of policies aimed at cleaning up academic corruption on university campuses and have levied severe penalties for misconduct. In the literature some would argue that the pervasiveness of corruption in China will hinder its ambition to create world-class universities. Zha (2010), argues that the Chinese government that once hindered academic freedom , has now become the overseers of academic integrity of researchers at their universities. Altbach, P. G. (2004). The question of corruption in academe. International Higher Education, 34: 8–10. Hayes, N.,& Introna, L. D. (2005). Cultural values, plagiarism, and fairness: When plagiarism gets in the way of learning. Ethics & Behavior, 15(3), 213–231. Macfarlane, B., Zhang, Z & Pun. A. (2012) . Academic Integrity: a review of the literature. Studies in Higher Education 1: 1-20. McCabe, D.L., Butterfield, K.D., & Treviño, L.K. (2003). Faculty and academic integrity: The influence of current honor codes and past honor code experiences. Research in Higher Education: 44(3), 367 – 385. Melgoza, P., Smith, J. (2008). “Revitalizing an existing honor code program”. Innovative Higher Education, Vol. 32, pp. 209-19. Sun, P. (2010). China’s efforts for promoting research integrity. Professional Ethics Report, 13(4): 1–3. Supon, V.C. (2004). Implementing strategies to assist assist test-anxious students. Journal of Instructional Psychology. Vol 31 No. 4, pp. 292-6. Wu, Z. (2010). Teaching postgraduates academic integrity through the discussion of integrity in ‘the Analects of Confucius’. Journal of Educational Development, 10: 79–81. Yang, R. (2005). Corruption in China’s higher education system: A malignant tumour. International Higher Education, 39: 18–20. Zha, Q. (2010). Academic Freedom and Public Intellectuals in China: A Century of Oscillations. International Higher Education (58), 17-18.